Whether you are trailblazing through Clear Creek Valley Park or biking through Pearce Park, StorQuest Self Storage is your springboard to living your most adventurous life. So grab your gear and start exploring more of what life has to offer with the peace of mind that all your belongings are safe and protected. StorQuest is thrilled to announce the grand opening of its brand new state-of-the-art facility in Arvada located right off highway 72 by the Welton Reservoir. 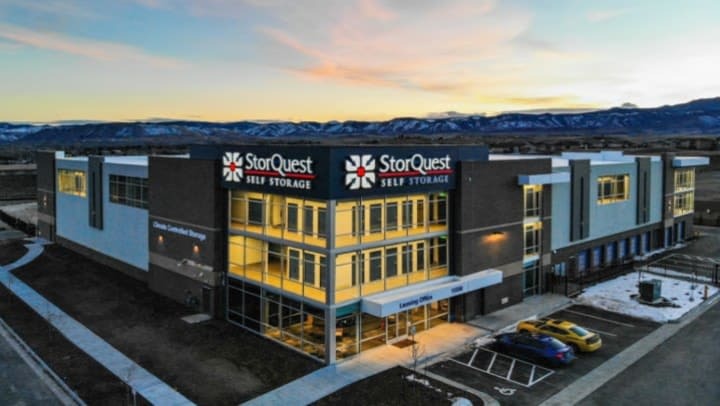 With best in class service, StorQuest Self Storage offers a variety of awesome storage solutions to Arvada residents and business owners alike, with state-of-the-art security, ground-floor units, and climate-controlled units for temperature sensitive items. In addition, StorQuest Arvada offers countless features to make any move or life transition a stress-free experience including electronic gate access, 24/7 customer support and online bill payments. Interested customers should contact the facility directly at 303-732-5081 or visit http://www.storquest.com to receive $1 First Month's Rent. Follow StorQuest on Instagram, Facebook, Pinterest and Twitter to keep up-to-date with business trends and exciting news! We are looking forward to joining the Arvada community and helping you make room for whatever life has in store for you.